This morning, our volunteer gardeners picked the first crop of vegetables of the year … at this stage mostly beans and beets. They are now on their way to one of the local food banks. This entry was posted in Uncategorized on 22/07/2017 by The Author. The cooler than usual and moist weather we are enjoying this year is making the crops in the garden grow really well this year – everything is green and lush and we look forward to having a good harvest in the weeks ahead. The food banks and meals-on-wheels groups that we supply should be pleased at what we will have for them. Here are some pictures from this morning. 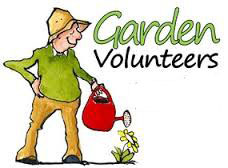 Please come and help – general gardening tasks at the moment will before long be supplemented by the excitement of harvesting and distributing. Every Wednesday from 16:00 to 18:00 and Saturday mornings from 09:00 to 11:00 are the regular “garden parties”. This entry was posted in Uncategorized on 15/07/2017 by The Author. The new information sign has been erected and (almost) all the vegetables are planted … next work party is on Saturday 24 June from 9-11am. This entry was posted in Uncategorized on 17/06/2017 by The Author. The garden is looking good – all the row covers and irrigation lines are in place and most of the crops have been planted … including the children’s entries for the annual pumpkin contest. This entry was posted in Uncategorized on 15/06/2017 by The Author. This entry was posted in Uncategorized on 05/06/2017 by The Author. The Garden at Fritz has started it’s fourth season of growing food for food banks and meals on wheels … the ground has been opened up and the first rows have begun to take root. This entry was posted in Uncategorized on 27/05/2017 by The Author. The new season is starting and we invite you to come along and help us get the crops off to a good start once again … please come for as long or as little as you can manage. *At the June 10 session we will be starting the childrens’ annual pumpkin planting contest. Bring your young gardeners along – special giant pumpkin seeds will be handed out, you choose your planting spot and keep an eye on your plants growth through the summer. There will be prizes in the fall for the largest/heaviest pumpkin grown. We look forward to seeing you – please bring gardening tools if you can. Remember that all our produce is donated to Meals on Wheels and local food banks. This entry was posted in Uncategorized on 26/05/2017 by The Author.